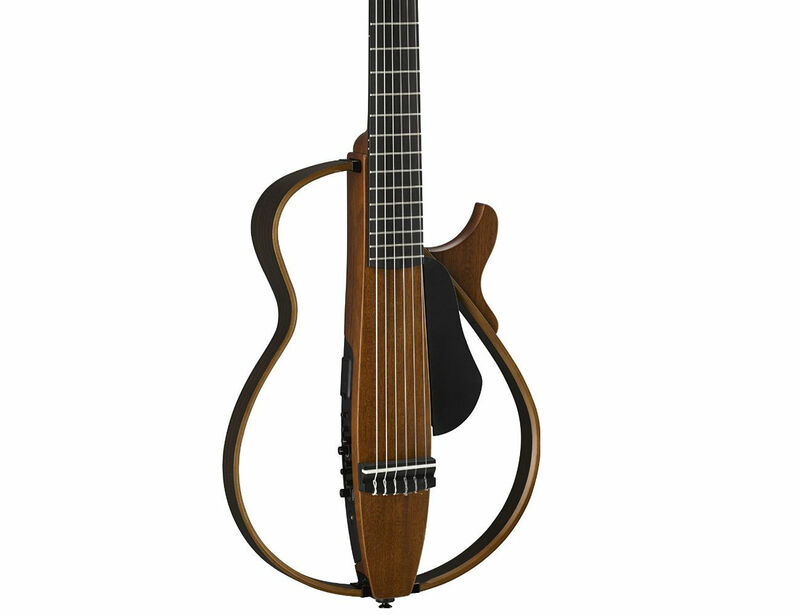 Expand your skills with the six strings with the Yamaha Silent Guitar. 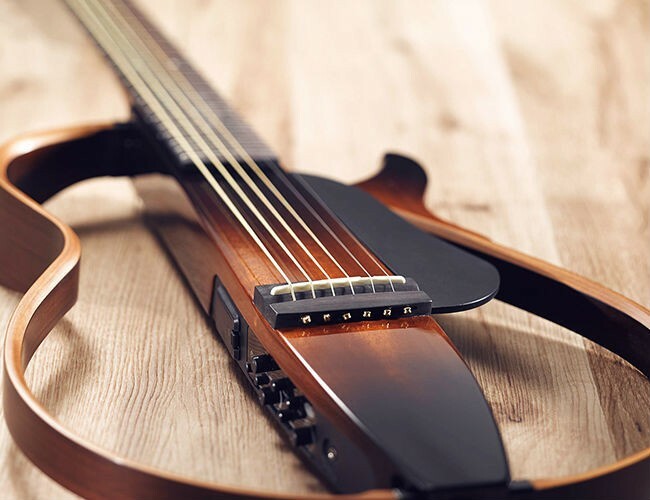 Made of luxurious wood and crafted to perfection, this silent guitar doesn’t amplify the vibrations produced by the strings but instead turns those vibrations into electric current and incredible sound. 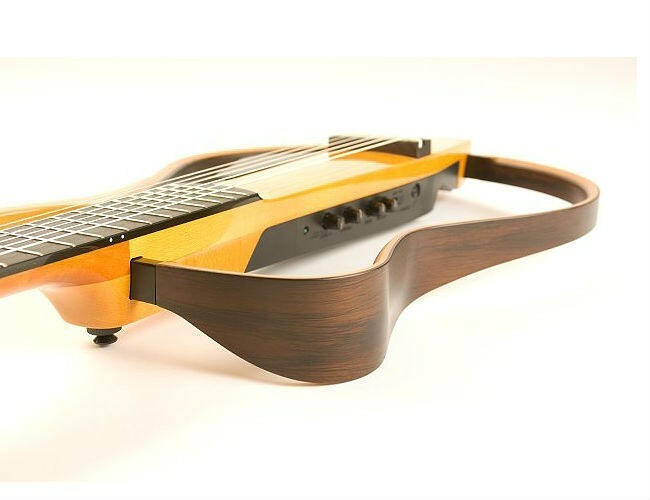 Powered with an adapter or AA batteries, the Yamaha Silent Guitar has a mahogany body and rod, a rosewood fingerboard and underbridge, and is finished with a rosewood and maple frame. 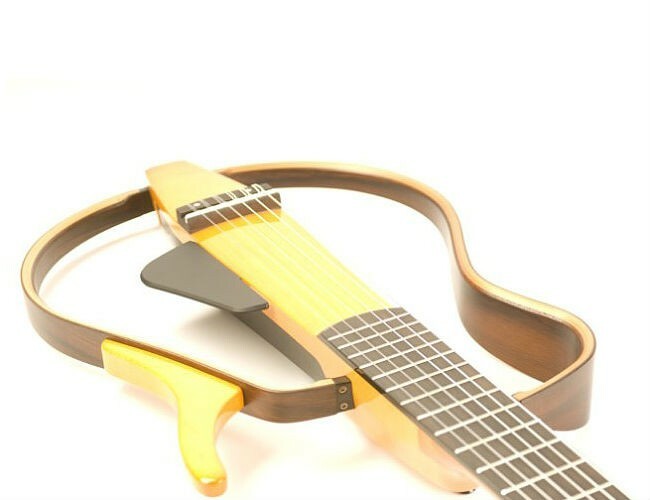 Easy to play any time anywhere, the Yamaha Silent Guitar weighs just over 4.5 pounds. 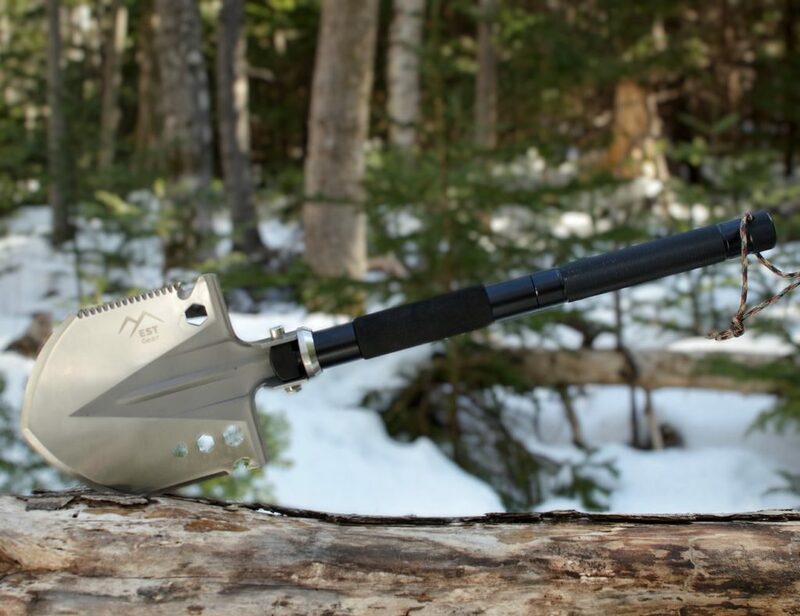 Allowing you to play as hard as you’d like, the sound from this guitar remains ultra quiet unless used with a piezoelectric pickup. 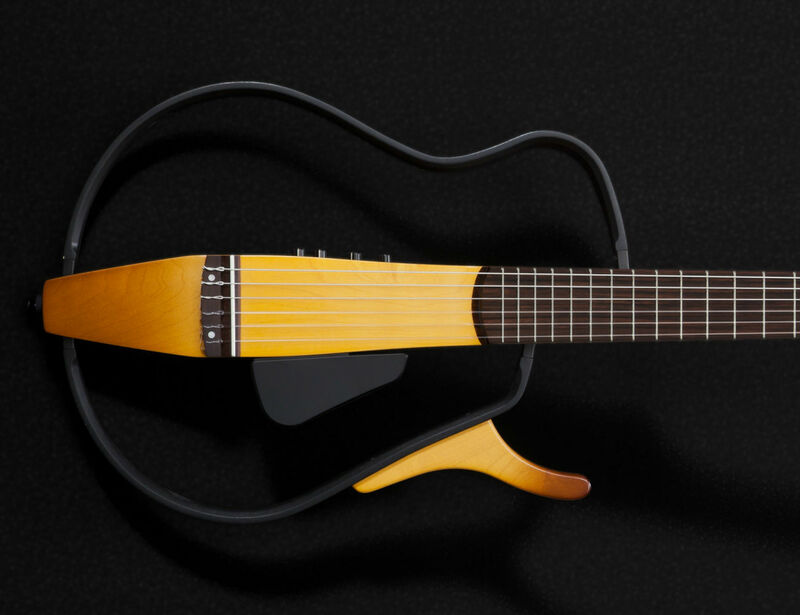 Fine tune your expertise with the Yamaha Silent Guitar.